Trade between China and Europe begins with silks, porcelain and tea. Demand for tea becomes so strong that the British begin to ship opium from their colonies in India to China to offset the financial trade deficits caused by the importation of tea. The Qing Dynasty (1644-1911) attempts to stop the spread of opium by seizing opium supplies from British traders. This leads to the First Opium War fought between 1839 to 1842 in which Britain prevails. In 1842, at the end of the First Opium War, under the Treaty of Nanking, China opens five treaty ports to Britain (Shanghai, Ningpo [Ningbo], Foochow [Fuzhou], Amoy [Xiamen] and Canton [Guangzhou]) and cedes Hong Kong Island to Britain among other things. A British settlement is established at Shanghai, followed soon thereafter by American and French settlements. The American settlement is to the north of the British settlement and the French settlement was to the south. In 1849, after the Chinese cede additional territory to France, a "French Concession" is established. In 1863, the Shanghai International Settlement is established after the British and American settlements are formally united. Ulike the British Crown Colony of Hong Kong, the Shanghai International Settlement remains sovereign Chinese territory. In both 1900 and 1914, the borders of the French Concession are expanded. In the 1920s, it is developed into the premier residential area of Shanghai. In 1918, after the Russian Revolution, Shanghai’s population swells by the immigration of many White Russians fleeing the Communist Red Russians. After the Japanese occupy Manchuria, further immigration to Shanghai follows. 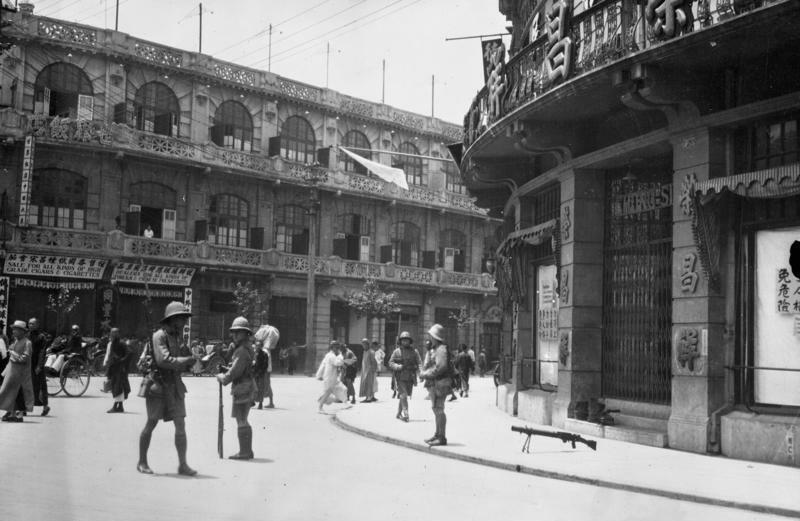 At the start of the Second Sino-Japanese War, the Chinese population in the French Concession is about 500,000. Japanese forces violate the neutrality of the Shanghai International Settlement by launching attacks on Chinese forces from within their sectors. The Municipal Council requests assistance from the treaty powers and activates the Shanghai Volunteer Corps of approximately 3,000 men. 1,100 men of the United States Army's 31st Infantry Regiment begin to arrive from the Philippines to reinforce the 1,625 men of the United States 4th Marines. A British Brigade of 3,600 man their settlement and 1,500 French forces man their concession. 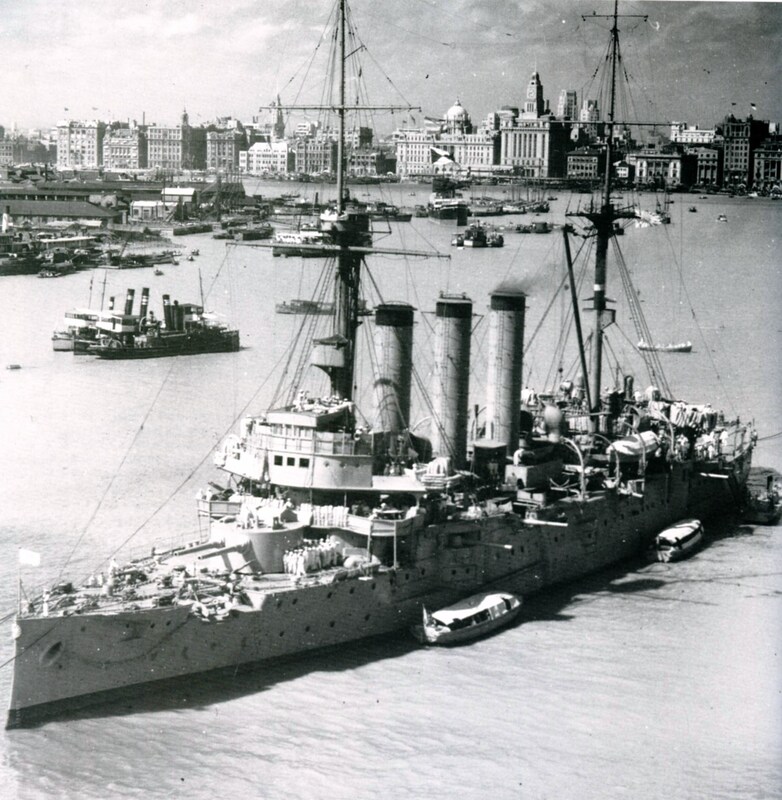 The British Government announces it is withdrawing all her China Station forces at Shanghai, Peking and Tientsin by the end of the month to bolster the Home and Mediterranean Fleets. The nervous International Settlement take special comfort in the 4th United States Marines after Shanghai's British garrison leaves. The Japanese gain control of the International Settlement's governing council. President Franklin D. Roosevelt orders all American river gunboats and the 1,200 men of the 4th Marines to leave China for to the Philippines, except those Marines assigned to protect diplomatic posts. The order says war between Japan and the United States is very close. 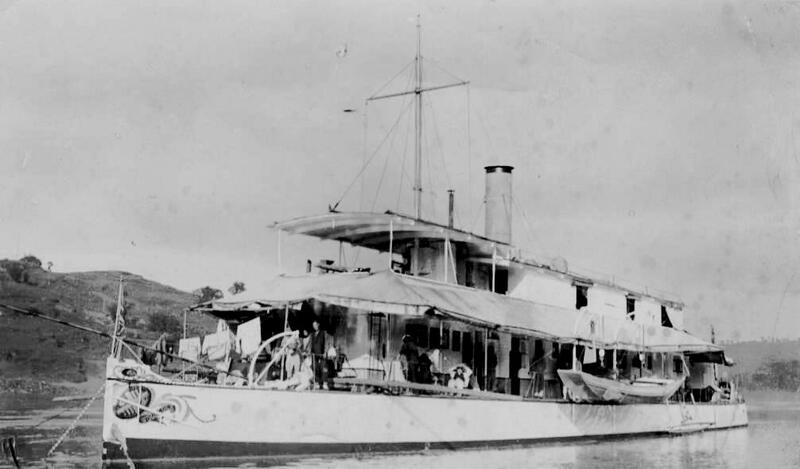 In response to deteriorating political conditions in China, Admiral (later Senator/CT) Thomas C. Hart, CinC, U. S. Asiatic Fleet orders Rear Admiral (later Vice Admiral) William A. Glassford, CO, Yangtze River Patrol (ComYangPat), to return to Manila with five of his larger gunboats. Gunboat USS LUZON (PR-7) departs Hangkow with Rear Admiral Glassford embarked. At 0027, LUZON, carrying Admiral Glassford, and USS OAHU (PR-6) depart Shanghai for Manila. LUZON and OAHU rendezvous with minelayer USS FINCH (AM-9) and submarine rescue vessel PIGEON (ASR-6) . They remain in company until 3 December. Formosa Straits. FINCH, PIGEON, LUZON and OAHU encounter a large Japanese convoy headed southward. An IJN floatplane circles the Americans, followed by seven Japanese warships of various types. Formosa Straits. Glassford's flat-bottomed river boats encounter a typhoon. In Manila, Admiral Hart, concerned for the gunboats' safety, directs FINCH and PIGEON to tow them or, if necessary, take off their crews. Mountainous seas damage PIGEON's rudder and she loses an anchor. FINCH loses both of her anchors, but manages to take unnavigable PIGEON under tow. Only two USN vessels remain in Chinese waters, both not seaworthy enough undertake a crossing of the Formosa Straits in foul weather. USS WAKE (ex-GUAM)(PR-3) is at Shanghai to maintain communications until a radio station is established at the Consulate General and USS TUTUILA (PR-4) is at Chungking to furnish essential services to the U. S. Embassy. LUZON and OAHU reach Manila followed by FINCH and PIGEON. After 22 years of operations, Glassford is forced to dissolve ComYangPat. All the other American gunboats arrive over the next few days. Shanghai. Whuangpu River. WAKE is rigged to be to scuttled with demolition charges. About 0400, some two hours after the Pearl Harbor attack, WAKE is boarded and seized by Japanese Special Naval Landing Force (SNLF) troops. Surprised and overwhelmed, WAKE's crew is taken as prisoners of war before they can scuttle the ship. 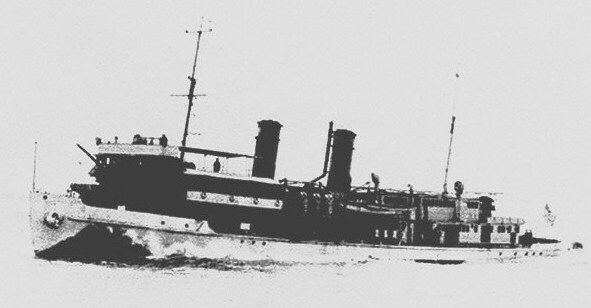 WAKE is the only USN warship to surrender in WW II. About the same time, Captain Otani Inaho (51) and a detachment of SNLF troops arrive and board moored British river gunboat HMS PETEREL. Otani informs her CO, Royal Navy Volunteer Reserve Lt Stephen Polkinghorn, that their countries are at war and demands surrender of the ship. Polkinghorn refuses and orders the Japanese off at gunpoint. Illuminated by light cruiser IJN IZUMO’s searchlights, gunboats IJN SETA and ATAMI, a destroyer and artillery pieces ashore sink PETEREL by gunfire. Six of PETEREL’s crew of 21 men are lost, but Polkinghorn, although wounded, and the other crewmen survive and are made POWs. Immediately following the attack on Pearl Harbor, Japanese troops storm the International Settlement. The French and Americans surrender the Settlement without firing a shot and the residents are interned in POW camps.